JBL Endurance PEAK is rated 4.3 out of 5 by 41. Rated 5 out of 5 by Al B from True Wireless Workout Headphones I've had these about two weeks, they do not disappoint. Work exactly as indicated during workouts, that include running, weight training, and explosive movements. Rated 5 out of 5 by Dlion from Outstanding At first i didn't know what to think. the tips felt like they clogged my ears. but with some adjusting they fit perfect. and i must say i'm starting to love them, glad i got these now. Rated 5 out of 5 by Baynes from Very Comfortable Ear Buds I got these ear buds a couple of weeks ago and have unused them for running only a couple of times due to weather but I couldn’t be happier! The fit Very well in my ears and have great sound. Easy to setup and great charge car make these ear buds a must have. Rated 5 out of 5 by DonH from Better than expected. I’ve only had these for about a week and so far I really like them. When I first took them out of the box I noticed they were smaller, lighter, and more simple than I thought they’d be. After plugging in the case and charging them up I selected the ear tips that fit best and put them on. The sound was even better than I expected. Deep bass, pure midrange, and bright treble. There are no buttons you simply tap the right bud to control modes, or slide to control volume. The light weight and water proof qualities make them perfect for running or working out. Battery life is more than enough for a workout but if you need more time you just pop them back in their case and it charges them back up. Well done JBL! I just purchased these JBL Endurance Peak true wireless. I don't see a way to adjust volume on the earbuds themselves. I can only do adjust by doing it on my phone. Is there some way to adjust or increase volume? Both actually. You can listen in stereo, take calls too. Or use the left or right earpiece independently for calls only. Hi, are these noise isolating or do they let ambient noise in? I hope they are isolating! Hi, The JBL Endurance Peak have no active noise cancelling or filtering. Which means that, if the eartips fit well, and close off your ear channel, they will of course block some noise, but this is passive. The JBL Endurance Peak's Bluetooth Version is 4.2. This is found on page 28 of the Quick Start Guide under Specifications. They work underwater, except the touch sensor will turn off the device. The Frequency response of the JBL Endurance Peak is from 16Hz &ndash; 22 kHz so it should be able to provide you good enough bass. My left Earbud will not turn on. When I try to listen to music with both earbuds in, I can only here out of the right one. How do I fix this? My earbuds did this about a month after purchase. The standard reset and re-pairing did not fix them, but I stumbled on a solution that worked for me by resetting just the right earbud. Take both headphones out of the case, let them turn on and connect (well, just the right one will connect or you aren't reading this...). Close the little ear loops so they power down. Put just the right earbuds back in the case and perform a hard reset by tapping and holding on the touch sensor part of the right earbud for 15 seconds (it will flash a few times). Take the right one out of the case, power it up and put both the right and left back in the case. When you take them out again, power them up and re-pair (mine asked to pair as if it were a new connection) to your phone and they should both work. 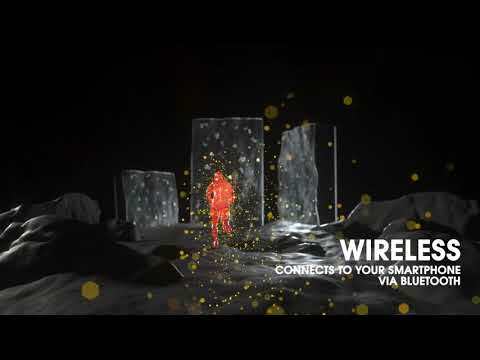 Does Bluetooth work underwater ? The JBL Endurance Peak&nbsp;only works above water, Since signals are hard to get through under water, and the IPX7 rating is made to match the other Endurance series mainly for a stronger sweat resistant headphones. 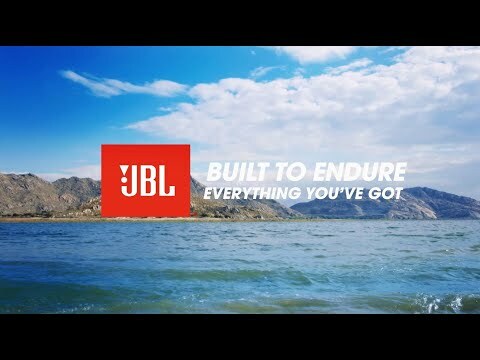 You will need to use the JBL Endurance Dive since it has a built-in MP3 player and a lock feature that will let you play MP3 music&nbsp;underwater&nbsp;without worries.